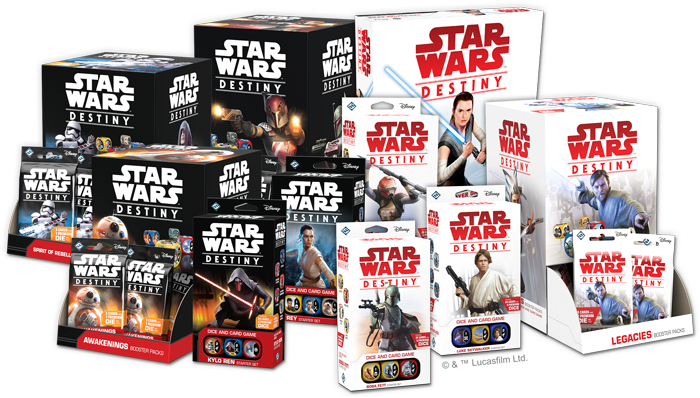 Since the Kylo Ren and Rey Starter Sets for Star Wars™: Destiny were first released, along with the Awakenings set of booster packs, the Organized Play for Star Wars™: Destiny has grown by leaps and bounds—much like a young Force user first learning to harness the limitless power pervading the galaxy. The game, too, has grown rapidly. The Awakenings Booster Packs were followed by the Spirit of Rebellion and Empire at War Booster Packs. Rey and Kylo Ren returned to the game, older and wiser, in the Star Wars™: Destiny Two-Player Game, and we'll soon see new versions of both Luke Skywalker and Han Solo in the Luke Skywalker Starter Set, while the galaxy's most notorious bounty hunter makes his arrival in the Boba Fett Starter Set. These new starter sets will then be accompanied by the game's fourth set of booster packs, Legacies and the Rivals Draft Set. It has been a fast and Force-filled journey, and there's plenty more to come. 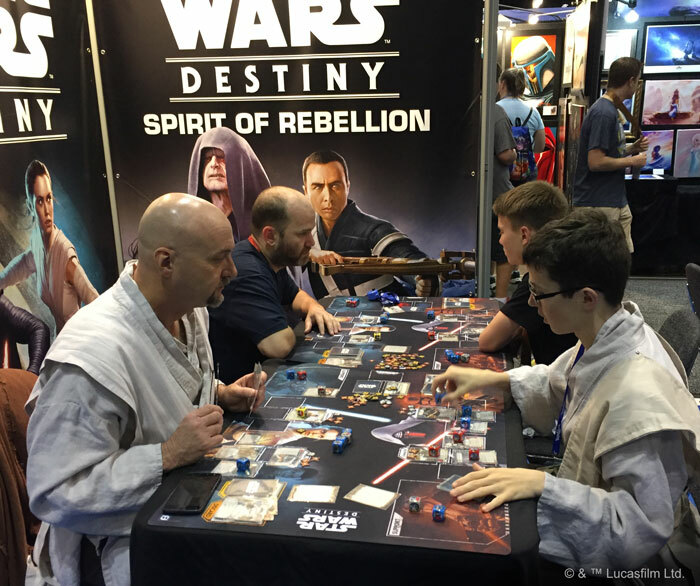 Accordingly, to make sure that the game's growth is matched by a rewarding Organized Play environment, Fantasy Flight Games is establishing three distinct formats for Star Wars: Destiny Organized Play—Standard, Trilogy, and Infinite. Each of these formats is defined by a different pool of cards and offers a different play experience. Each format will also be accompanied by a format-specific Holocron document, which—in combination with the game's core rules—will provide all the information you need to construct format-legal decks. These freely downloadable documents will be published shortly and updated at regular intervals. The introduction of the Standard, Trilogy, and Infinite formats to Star Wars: Destiny takes one game and transforms it into three different play experiences, each of which offers its own possibilities and rewards. It better supports the range of player skills—from newcomer to Jedi Master. It leads to a more dynamic play environment. Rotation is a process used to reduce the size and complexity of a game. As newer products are introduced, older products are removed. Two of the three formats in Destiny use rotation to shape their pools of cards and dice. It also allows the game's developers and Organized Play team to better regulate the overall metagame and pursue the highest possible quality of play. More specifically, these formats provide the developers and Organized Play team the means to take the game's entire pool of cards and dice and reshape it into three different pools. These new pools of cards and dice, along with any format-specific rules, then define the different formats. There will be some overlap between the resulting card and dice pools, but the formats will feel different enough that switching from one to the other can feel almost like you're once again discovering the joys of Destiny for the first time. Importantly, the new formats allow us to use set rotation and other tools to make sure the game remains approachable for newer players, even as they allow us to address the strategic richness and carefully balanced competitive environment that veterans demand. The main format for Destiny Organized Play, and the one that will be used at all of the game's championship-level events, the Standard format will be the most closely watched and carefully governed of the three. The Standard format consists of the two most recent cycles and all products that are part of an unreleased cycle. A cycle consists of a pair of Starter Sets, the accompanying set of Booster Packs, two expansion sets of Booster Packs, and all other products associated with the cycle by the format's Holocron document. For example, the Awakenings cycle consists of the Kylo Ren Starter Set, Rey Starter Set, Awakenings Booster Packs, Spirit of Rebellion Booster Packs, and Empire at War Booster Packs. Some products, may arrive before the cycle with which they are associated. 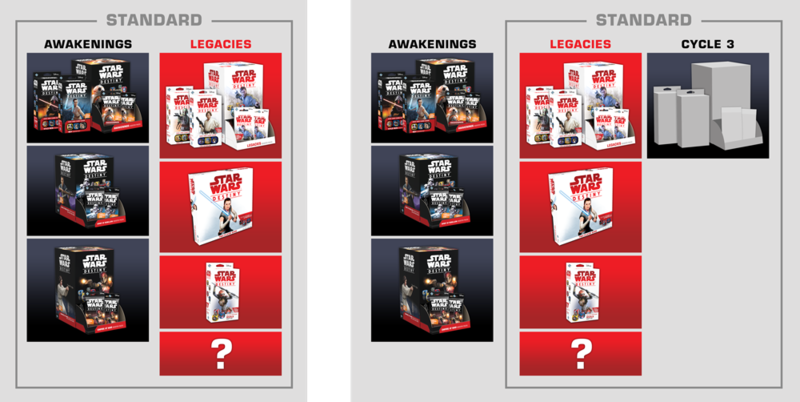 For example, the Star Wars: Destiny Two-Player Game is associated with the Legacies cycle, but is already available for purchase. Going forward, the Star Wars: Destiny Standard Holocron will serve as the definitive source of clarification, and as more products in the Legacies cycle are released, the Standard Holocron will clearly identify the full, up-to-date list of all products legal in the Standard environment. The Standard environment consists of the two most recent cycles and all products associated with an unreleased cycle. Here we see how the game's third cycle will cause the Awakenings cycle to rotate out of the environment. The document will also identify any errata impacting the Standard play environment and introduce other tools to better balance the overall Destiny game experience. The most fluid of the new Destiny play formats, the Trilogy format uses an aggressive rotation policy to remain as welcoming as possible to newer players and casual leagues. The Trilogy format consists solely of the most recent cycle and all products that are part of an unreleased cycle. Legacies Cycle: Luke Skywalker Starter Set, Boba Fett Starter Set, Legacies Booster Packs, Rivals Draft Set, and Star Wars: Destiny Two-Player Game. With its truncated selection of products, the Trilogy environment leads to a competitive environment that is far more welcoming to newer players. Because of this, we are making it an integral part of our Galactic Qualifiers. Once the Legacies Booster Packs release, each of these massive, high-energy events will feature at least one Trilogy format Galactic Qualifier tournament, and we expect that as a result these epic Destiny celebrations will enjoy the participation of new players and veterans alike. If you're interested in growing your Destiny player base, we hope you'll welcome newer players to the Trilogy events at your stores and nearby Galactic Qualifiers. The Star Wars: Destiny Trilogy Holocron will be updated regularly with all products legal within the format, plus a range of tools to balance the format's competitive environment. If there's a single Destiny format that's intended to cover all the different conflicts of the Star Wars galaxy, it's the Infinite format. The Infinite format consists of all products currently released. Intended mainly to serve long-time veterans and fans who delve deep into the available products to find their favorite characters, upgrades, and events, the Infinite format provides a home for all products, even those that have rotated out of the Standard and Trilogy formats. This means, for example, that even after the Luke Skywalker and Darth Vader from the Awakenings cycle rotate out of Standard and Trilogy play, you'll be able to reenact their confrontations in the Infinite environment. Similarly, you'll be able to explore all the combinations permitted by the game's events, upgrades, supports, and battlefields. 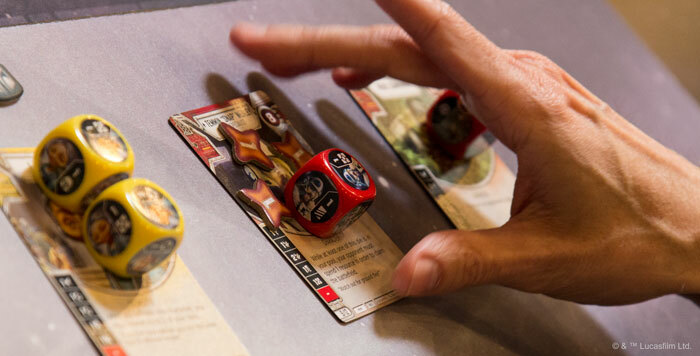 The Star Wars: Destiny Infinite Holocron will introduce a number of tools to balance this format, but it will be—by and large—a format for those interested in a deep exploration of the game's legacy and its many possibilities. 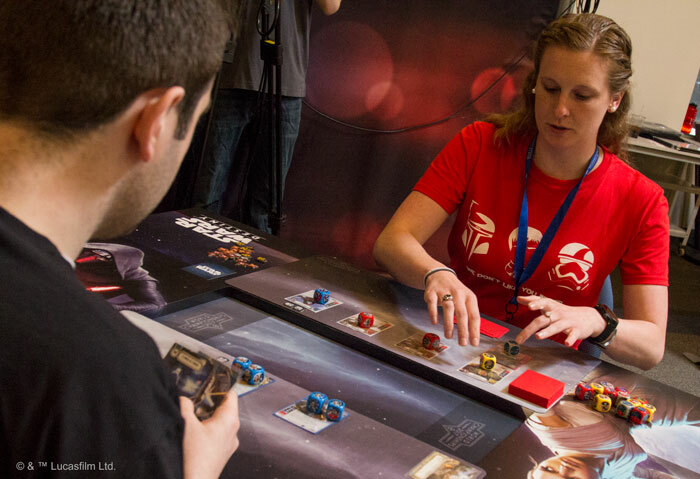 The Star Wars: Destiny community is bigger, more energetic, and more welcoming than ever. The game has grown tremendously, and we believe these three new formats will play a key role in forging the path for future success. Look for the Standard, Trilogy, and Infinite Holocrons to arrive shortly. In the meantime, you can check our Galactic Qualifiers website for an event near you—and a chance to celebrate the upcoming release of the Legacies Starter Sets and Booster Packs in the format of your choice!